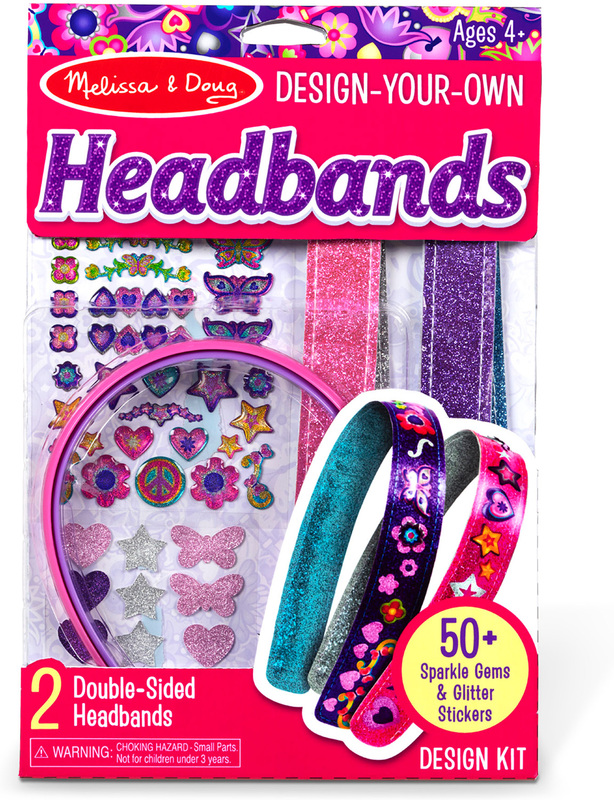 For girls exploring their stylish sides or just looking for the world's cutest way to hold their hair back, this all-inclusive craft set is the perfect way to customize two cute headbands! 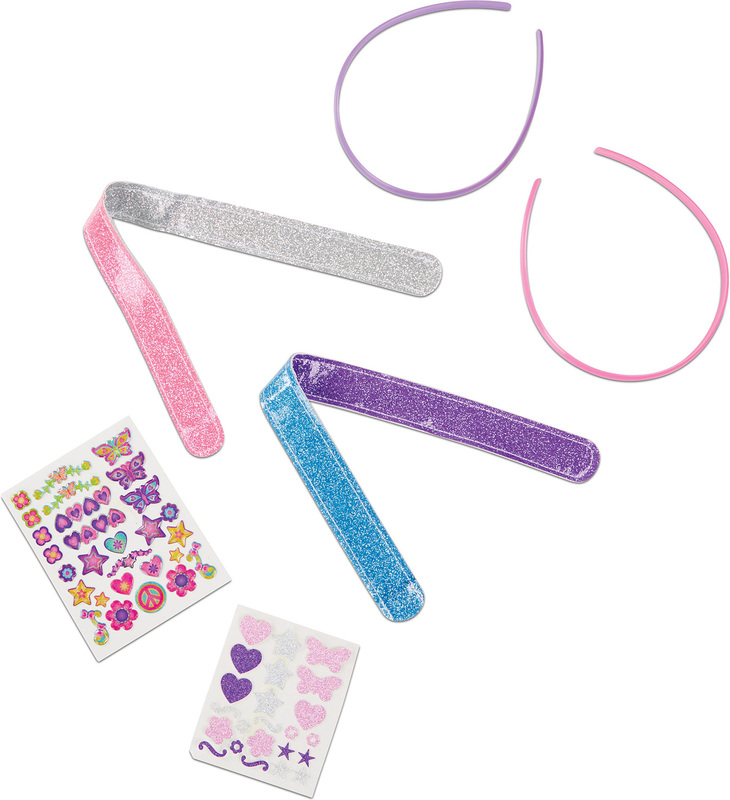 Over 50 shimmering gel stickers and sparkling glitter stickers are included to make each one unique. 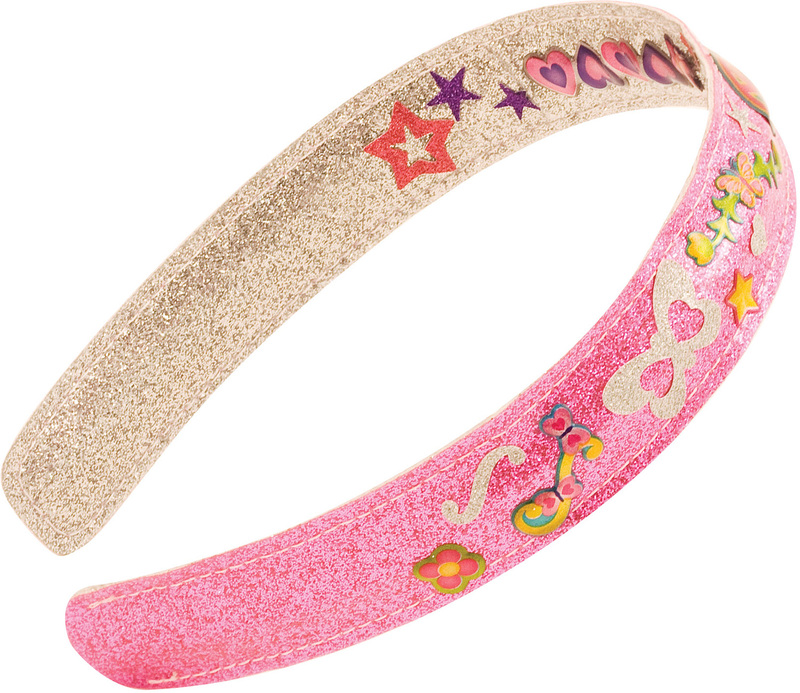 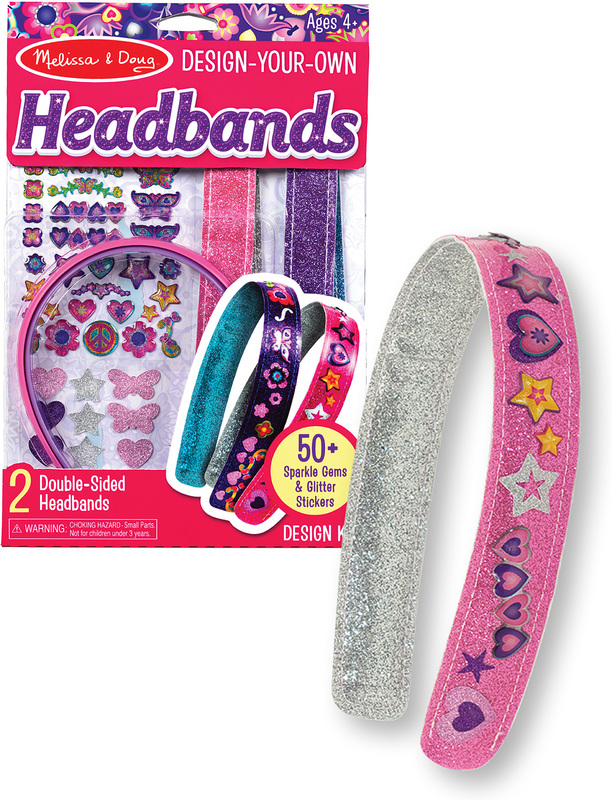 Kids simply choose a headband cover, add stickers, and slip the cover over one of the included plastic headbands. 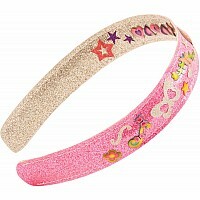 The result is a shimmering fashion statement they'll be proud to wear! 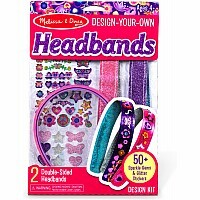 Measures approximately: 0.70 x 6.90 x 9.70 inches..